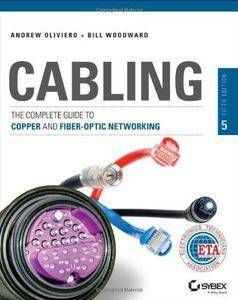 Develop the skills you need to design and build a reliable, cost–effective cabling infrastructure Fully updated for the growing demand of fiber optics for large–scale communications networks and telecommunication standards, this new edition is organized into two parts. Part I covers LAN Networks and Cabling Systems offers comprehensive coverage on current cabling methodologies and is updated to the latest industry standards. Part II addresses Fiber–Optic Cabling and Components probes deeper into fiber optics, and can be used to prepare for the Fiber Optics Installer (FOI) and/or Fiber Optics Technician (FOT) certifications, two of the Electronic Technician′s Association′s leading certifications. Explains why cutting corners is a bad idea Walks you through the obstacles to high–speed data transfer Encourages you to follow the golden rules of cabling This new edition is the only book you need for current cabling methodologies and standards.